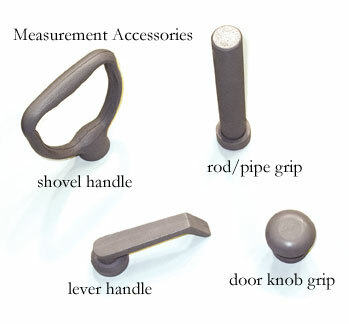 Simply and accurately measures the strength of the wrist muscles during flexion, extension, abduction and adduction, and the forearm muscles during supination and pronation. 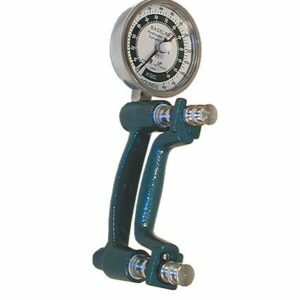 The Baseline® wrist/forearm dynamometer features the time proven hydraulic system used in the industry-accepted Baseline® and Jamar® hand dynamometers. 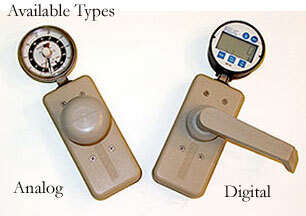 For hand held use, the dynamometer can accommodate the single or dual-grip handle. The strength reading can be viewed either in pounds or kilograms. Comes with portable carrying case and door knob grip. Made in the USA with a 1-year manufacturers warranty.